Dr Linda Fleeman and Dr Sarah Pierard of Animal Diabetes Australia work out of Melbourne EyeVet a couple days a week as well as Centre for Animal Referral and Emergency (CARE). ​Linda is an internationally renowned expert on the treatment of diabetes in dogs and is regularly invited to speak on this topic at international and national forums. Throughout her career, she has worked in both university referral practice and general small animal practice, and her primary focus for more than 10 years has been on all aspects of diabetes in dogs and cats. ​Sarah joined Animal Diabetes Australia in 2015. She has always had a keen interest in internal medicine, particularly endocrinology. In 2014, she completed a Master’s degree focusing on small animal internal medicine. Sarah has worked for ten years in small animal general practice in Australia and the UK. She graduated with a Bachelor of Veterinary Science from the University of Queensland in 2004. 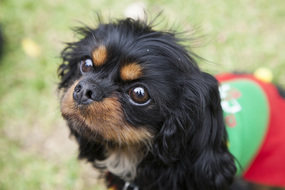 The Animal Diabetes Australia service specifically caters for diabetic dogs and cats. The services provided include all aspects of diabetes management including insulin therapy, nutrition, and diabetic monitoring. There is also a strong focus on education of owners of diabetic dogs and cats on how to best treat and monitor their pet’s diabetes. The overall goal is for the most effective control of diabetes using an approach that is tailored to the individual owner and pet. 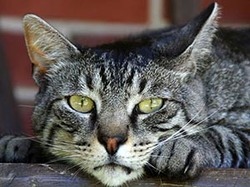 Treatment of diabetes in cats usually requires daily administration of insulin injections and appropriate nutrition, and must be specifically tailored for each individual. Diabetes is caused by deficiency of insulin, which is an important hormone made by beta cells in the pancreas. The signs of diabetes in dogs are typically weight loss despite a good appetite, and excessive thirst and urination.